 Nangrong Hotel, The budget Hotel in the center of Nangrong district which is convenience for breakfast and dinner. The hotel is located close to Night Market, 7-11 and Walking Street. We provide clean room, free Wi-Fi, parking area and tourist information. It’s easy to get to many Local Attractions from the hotel such as Wat Khun Kong, Wat Rong Manthet, Wat Khao Angkhan , Phanomrung Historical Park and Muang Tam Sanctuary (only 20 minutes). It can be stay 2 people. They are 2 beds, which are normally size of single bed (3.5 feet ).